Ever since establishing itself on the world stage of business, the city-state of Dubai has attracted different kinds of people, from American entrepreneurs looking to set up shop, to British expats attempting to escape the cloudy isles for a more temperate nation. Say what you will about the Emirates and there is much to be said – from politics to human rights issues regarding the servant population. One thing is certain: the tourism has to be seen firsthand to be believed. The country’s sand dunes, white beaches, artificial islands, massive shopping districts, and spacious homes define it as one of the greatest holiday destinations on the planet. And what better way to spend time in Dubai than to spend it on the terrain that inspired the world’s most prominent religions – the desert. 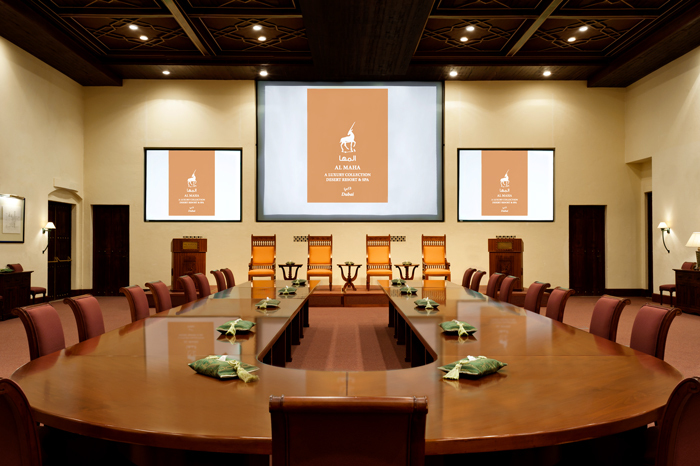 Add a bit of modern flair, and you end up with the Al Maha Desert Resort. 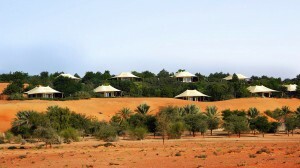 Deliberately positioned in the desert, Al Maha is the most exclusive resort in the UAE. 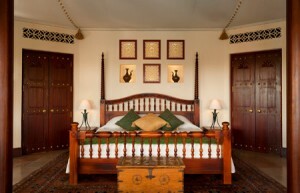 Only guests have access to the grounds surrounding its 40 villas. 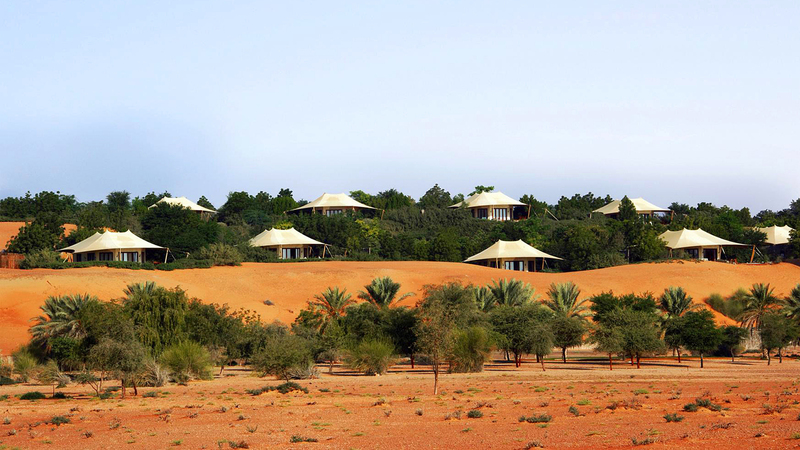 As an eco-resort, rather than opting for the minimalist, back-to-basics approach on green credentials that most hotels pride themselves, it lavishes itself on five-star service on its guests and helps the environment by funding and caring for the Dubai Desert Conservation Reserve. This 87-square-mile national park was created to protect the biodiversity of the region. The once extinct species of wild Arabian Oryx has been successfully restored by the project, and the animals freely move about the resort, lapping water from the poolside. This luxurious but exotic hotel boasts 24-hour access to a business center, limo/town car service, and event facilities measuring 2992 square feet (278 square meters). Included to the latter is a conference center and conference space. A computer station is accessible, as well as wedding services, picnic areas, and a library. The friendly staff (noticeably cheerier than their city counterparts) are available 24-7 from the front desk. Bellhops/porters and room service can be requested throughout the day and night. Other routine services include concierge, laundry facilities, tours/ticket assistance, free breakfast, and valet parking, which is on the house. The aforementioned free buffet breakfast is served between 7:30 AM and 10:30 AM. 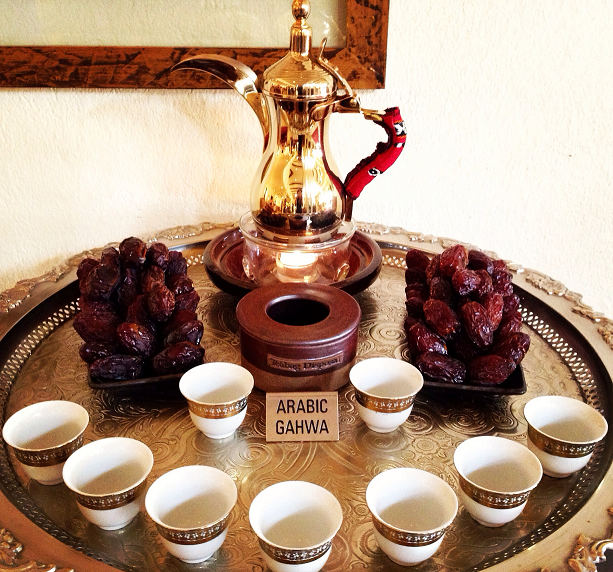 Al Diwaan Restaurant – This first-class restaurant serves breakfast, lunch, and dinner. Guests can order drinks at the bar and enjoy alfresco dining (as long as the weather is good). Near the edge of the resort is a Bedouin-style camp that serves traditional food. The guest rooms each contain an espresso maker. Recreational facilities include an outdoor pool and spa. A health spa, sauna and steam room are on-site. 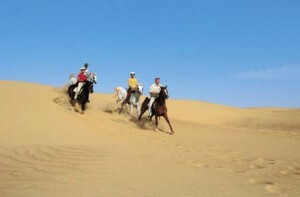 Ecotours and horse riding/rentals can be requested; fees may apply. Each of the rooms is a small villa with plenty of space. The individual villas are specifically decorated for each guest, adding much needed variety. The essentials are all present: Satellite TV service with HD channels; air conditioning (a must for the desert); complimentary newspapers and toiletries; private bathroom; deep-soaking bathtub; premium bedding with a pillow menu; free Wi-Fi and more. A balcony is available to admire the serenity of the desert at all times. Daily housekeeping is provided by the 24-hour staff. 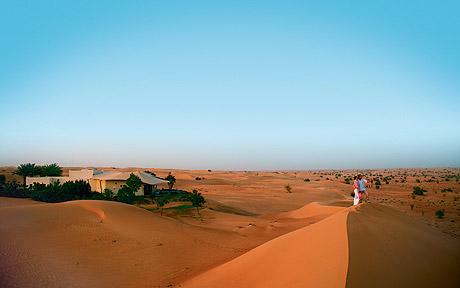 Extreme privacy, since the desert resort is an hour’s drive from Dubai. The desert is the best getaway from modern life, and it provided a sense of reflection for thinkers and holy men. It’s a child-free resort, making it ideal for couples. The individual villas, each with its own distinctive look, are worth the visit. Not ideal for bringing the whole family, especially the seniors. Example for 1 night: £582.29 (2 adults, BEDOUIN Suite), through Expedia.